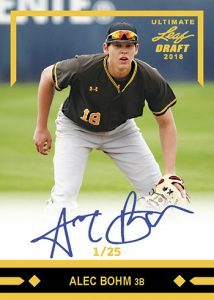 2018 Leaf Ultimate Draft Baseball - Baseball Card Checklist	Overall rating:	3	out of 5 based on 1	reviews. 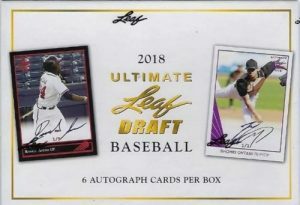 2018 Leaf Ultimate Draft Baseball returns to the hobby for the first time since the 2015 season. The all autograph release is similar to its football counterpart in both design and layout. 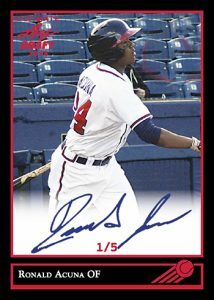 The classes of cards are based on the designs used in 1990, 1991, and 1992 Leaf products, but feature modern day players, both MLB stars and prospects. Each box offers fans 6 autographs, and plenty of opportunity for some big name rookies.